For adapting a CapTite™ component to a different tubing size. Material: PEEK™. Dimensional drawings of C360-A116 and T116-A360/T116-A132. T116-A360: used to attach 360um OD capillary to a component with a T116 female port. T116-A132: used to attach 1/32" OD tubing to a component with a T116 female port. T132-A360: used to attach 360um OD capillary to a component with a T132 female port. 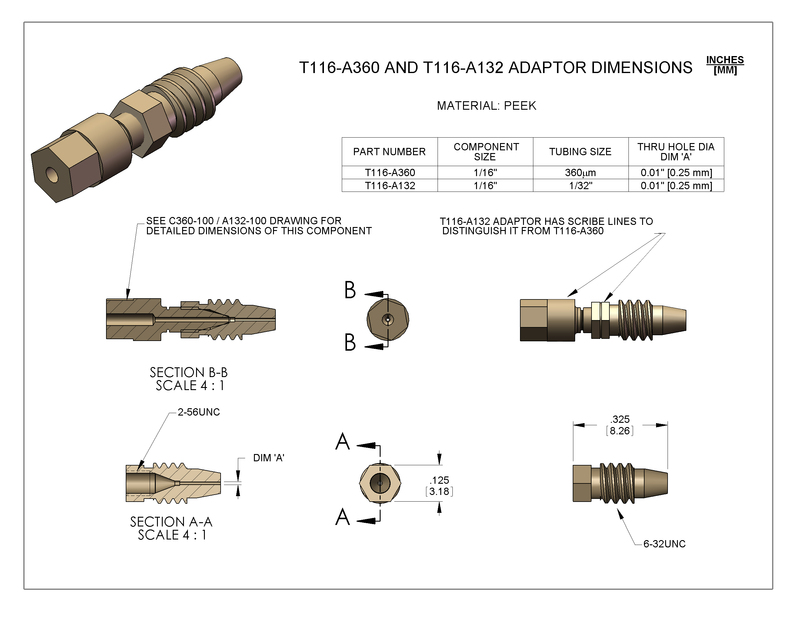 C360-A116: used to attach 1/16" OD tubing to a component with a C360 or T132 female port. 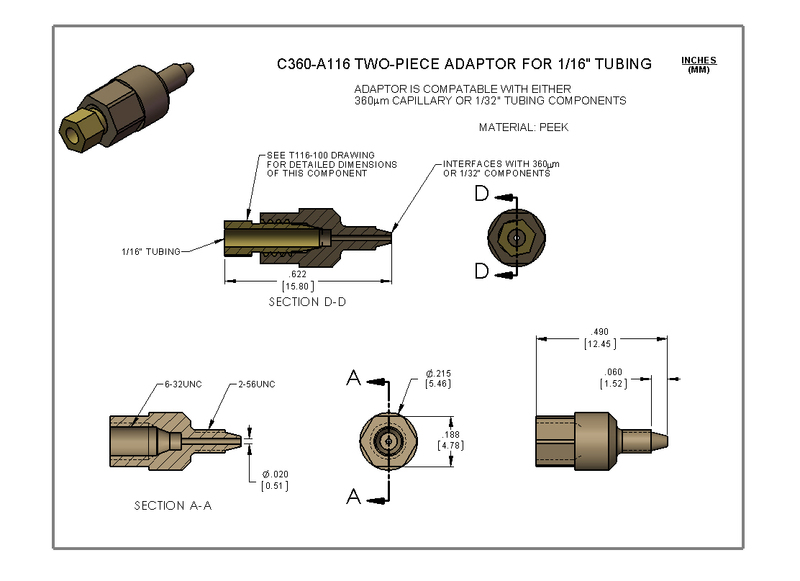 C360-A132: used to attach 1/32" OD tubing to a component with a C360 female port.